Is it possible for a race car driver to will his way to victory? In other sports, you can run faster and push harder, and it just might work. 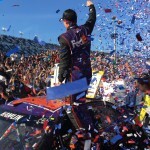 Auto racing is a different breed of cat, yet somehow, Denny Hamlin kicked in the afterburners on his number 11 car and shot like a rocket past Martin Truex Jr. to win the Bojangles Southern 500 Sunday at Darlington. For this fan, that kind of cat and mouse chase between Hamlin and Martin Truex Jr. is edge of your seat television. You watch that gap narrow, and two opposite forces are at work. You wonder, will Denny Hamlin use up his car running down the leader? 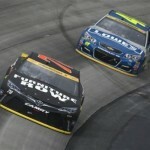 Will Truex use up whatever he has left trying to hold off the 11? This time, it wasn’t too late as Truex did all he could to limp his car home for an eighth place run. 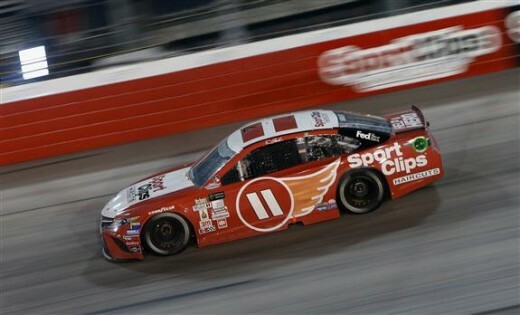 How many times have we seen a driver attempt a rally like Denny Hamlin, only to drive off all the good from his tires? There was also the lapped traffic near race’s end, and there have been those times a driver attempts to thread the needle and pays. In other instances, it’s a matter of too little, too late. 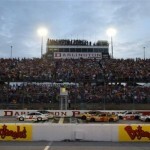 The winner of a combined seven races between two of NASCAR’s top series made sure that didn’t happen. There are those tracks where a driver is just money. Denny Hamlin has more than a couple. Fans will remember his prowess at Pocono earlier in his career. Then there’s his mastery of Martinsville. Now with 31 NASCAR Monster Energy Cup Series wins, Hamlin has the highest win total of any active driver not to win a championship. Denny Hamlin said the win was a total team effort. If Hambone keeps this up, we may want to re-think the premature coronation of Martin Truex Jr., who has been the class of the field thus far in 2017. Sunday’s race reminds us that it’s not where you start, but how you finish. Who Will Survive The Chase’s Second Round?